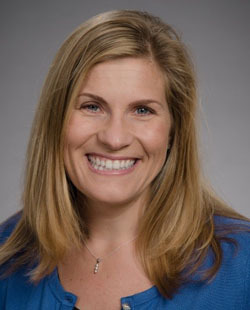 Congratulations to CERTAIN investigator Danielle Lavallee, PharmD, PhD, who recently received a Patient-Centered Outcomes Research Institute (PCORI) Engagement Award to support her project, “Using Patient-Generated Health Data to Transform Healthcare.” This PCORI award will provide funding for two years, beginning on April 1st, with a total award amount of $249,843. Dr. Lavallee will collaborate on the research with University of Washington co-investigators Sean Munson (Human Centered Design and Engineering) and Dagmar Amtmann (Rehabilitation Medicine); Patient Partner co-investigators Rich Bloch (Systems/Software Engineering Principal, Business Learning Incorporated) and Debbe McCall (PCORNet Health eHeart Alliance); the UW Medicine Digital Health Advisory Committee; and the CERTAIN Patient Advisory Network. This project will create a community of patients, clinicians, healthcare administrators, informaticists, software developers and researchers to identify the evidence gaps faced when determining the value of patient-generated health data (PGHD) created through mobile health and wearable devices, with a focus on developing and translating PGHD research into practice. It will aim to bridge the existing divide between those who develop technology and those who use technology for the advancement of health. It will also create a framework for patient-centered outcomes research that is inclusive of PGHD to help ensure that future research addresses important study design considerations and is responsive to the needs of stakeholders. Additional information about the award mechanism can be found on PCORI's website.